I love my kettlebells…have I told you that? If you have read my blog for a long time, you may remember a little while ago I was obsessed with kettlebells! those up there are my own lovely lovely kettlebells. I confess I have been neglecting them, I have been won over by heavy weight plates and barbell goodness! Well…this morning with New Matt the new trainer, I did an entire session of kettlebells. I swung everything from a 16kg right up to a 24kg and cleaned and pressed 12kg and 16kg 😀 I had forgotten how blooming hard work they are. 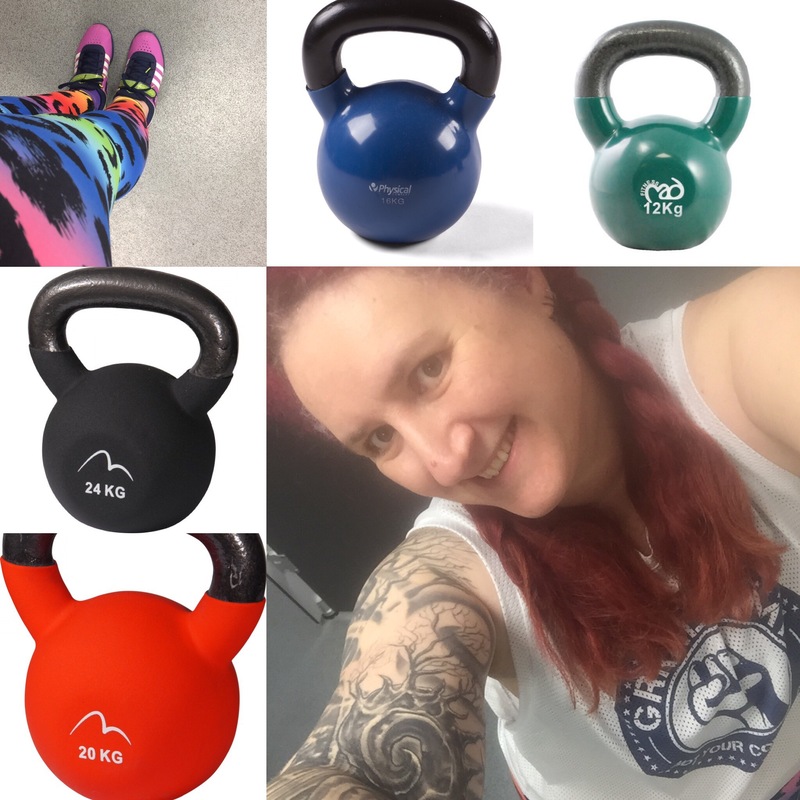 It turns out…I still love kettlebells!! me after all the kettlebell goodness this morning! Damn right I remember the kettlebells, you said that everyone should do them. You even convinced me that they weren’t evil. Now I own my own kettlebell and it’s all your fault! You should definitely include them in your workout, they are AWESOME! Hehehe!! I did do that! Scary sized kettlebell, mine is only a baby!